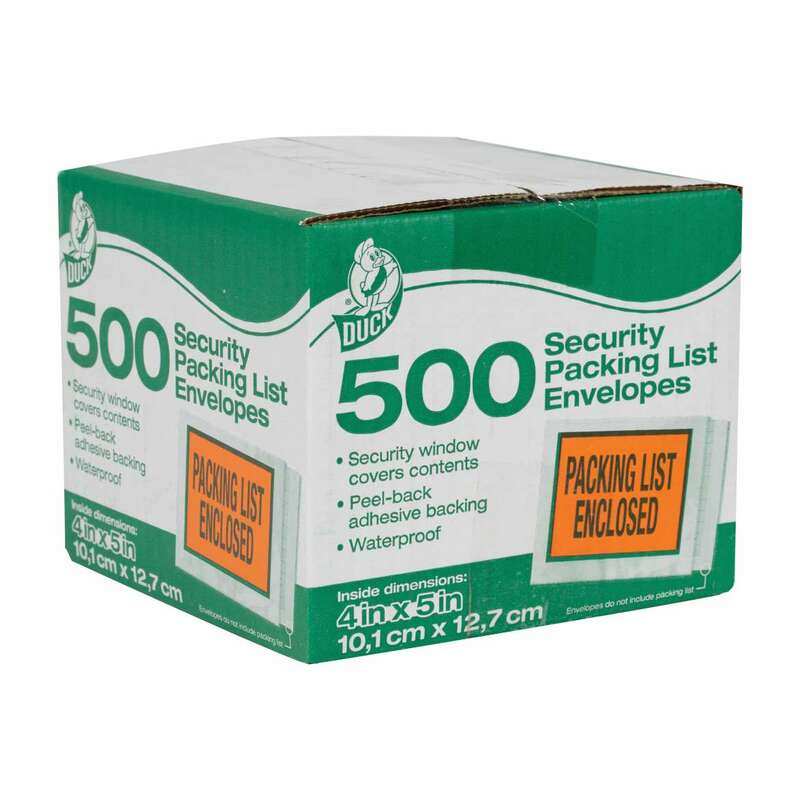 When shipping items where packing list security and protection is a must, these Duck® Brand Packing List Envelopes allow whatever information you need to be covered up. 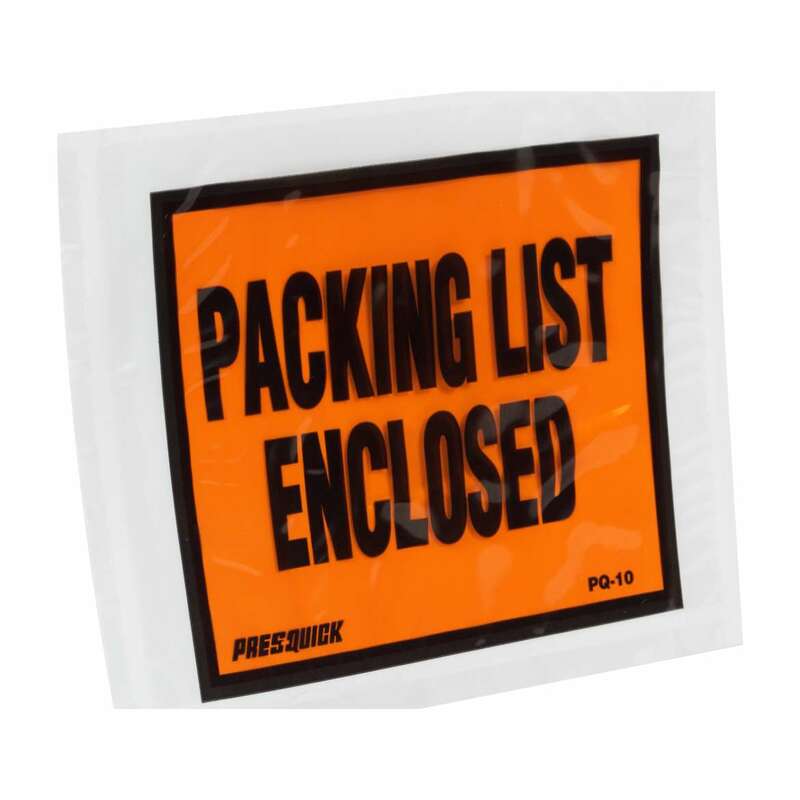 Designed to work in all different types of weather, these envelopes ensure your packing list is protected during shipping and stays legible for whoever is receiving it. 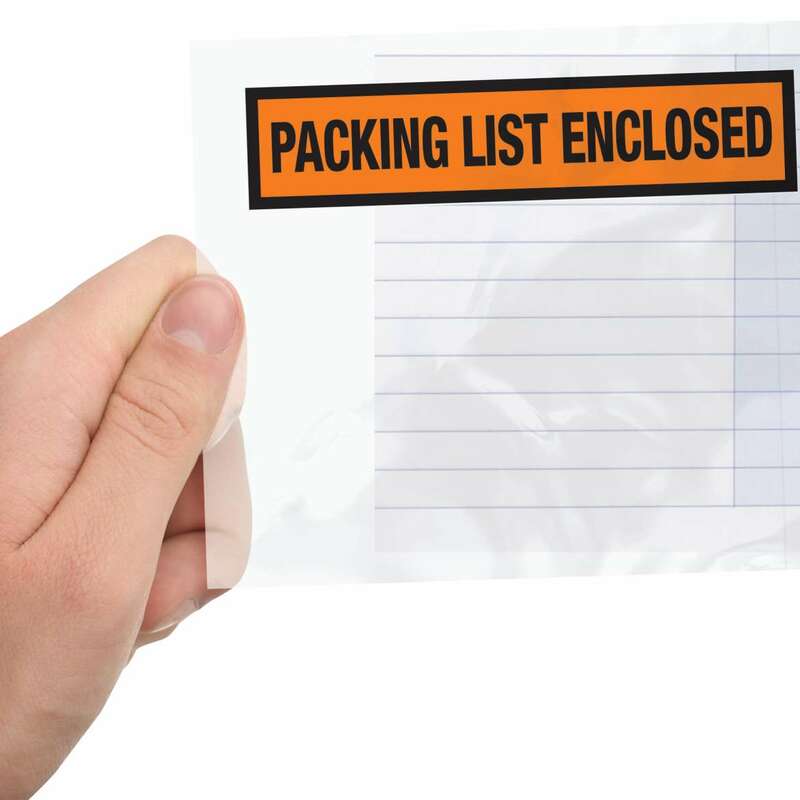 The strong adhesive also keeps your list safe from any unwanted tampering. 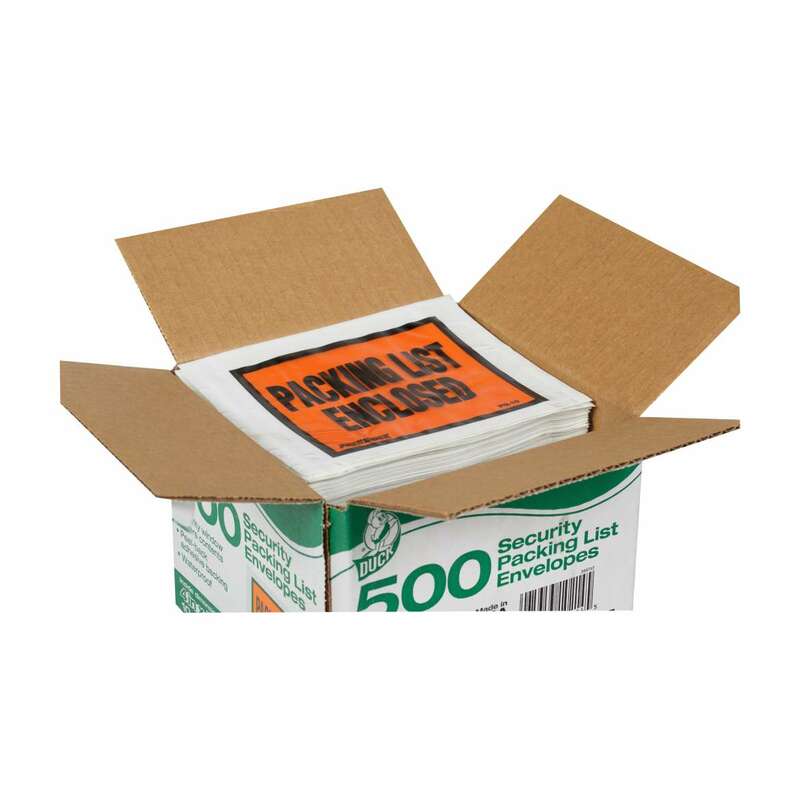 Plus, they’re simple and easy-to-apply with no need for extra tape or glue.